Long story short: The project met with Arthur C. Clarke’s approval, but producer Phil DeGeure could not get Universal to put up the huge budget needed to start production. DeGeure was a fan of Adams, who did not disappoint with his conceptual designs. 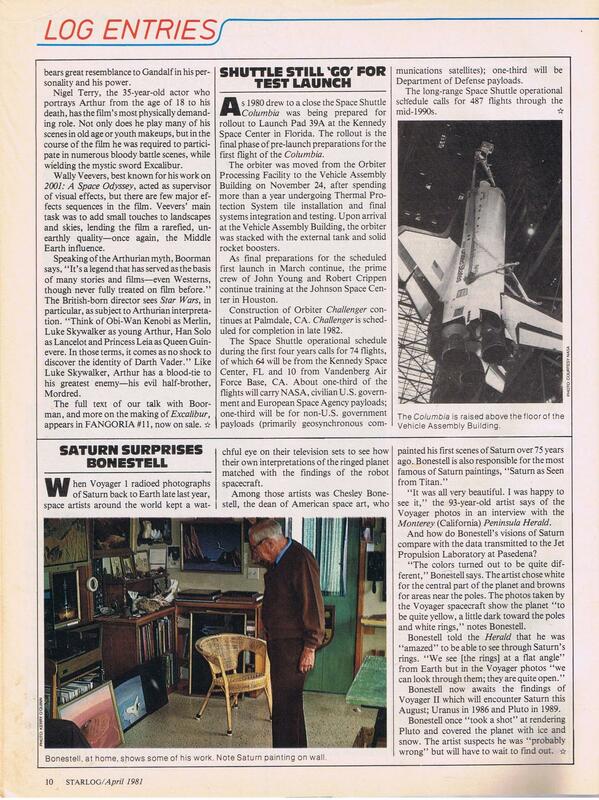 The article is from Starlog #42 (January, 1981). Amicus Production’s Milton Subotsky gave us some of the most beloved B films of the 1960s and 1970s, including two of my all-time favorites: The Land That Time Forgot (1974) and The People That Time Forgot (1977). 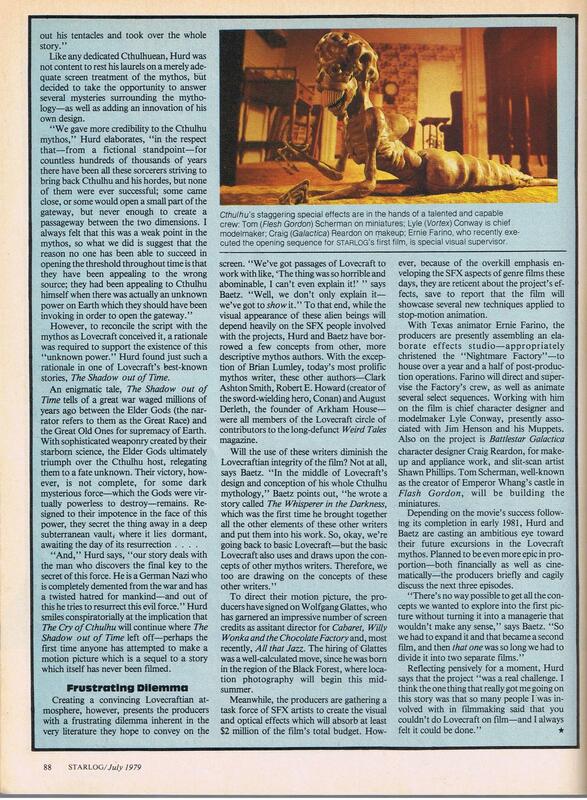 Too bad we were denied his sword and sorcery extravaganza that would have featured stop-motion animated “air boats,” “lizard-hawks,” “giant flying spiders,” and a “Dragon-God,” not to mention David “Darth Vader” Prowse in the role of the barbarian hero. Subotsky wanted to do a Conan movie very early on, possible as early as the late 1960s, but he couldn’t get the rights. He settled for Lin Carter’s copycat, Thongor. 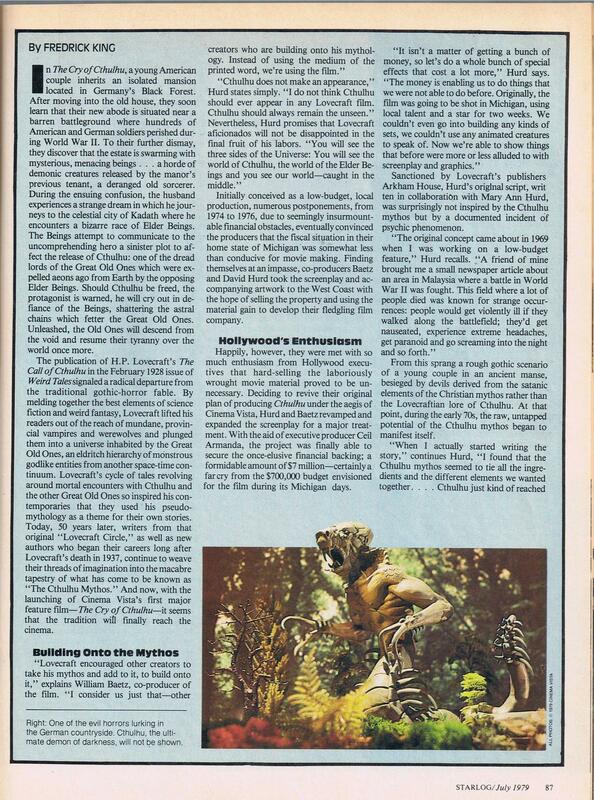 The article, from Starlog #15 (August, 1978), has Thongor: In the Valley of the Demons slated for a July 1979 release, but it was not to be. Both Clash of the Titans and Conan the Barbarian were in development, and Subotsky couldn’t get the money he needed to compete with the talent involved (namely, Ray Harryhausen). The first live action sword and sorcery movie was, instead, 1980’s Hawk the Slayer. A few months ago I wrote about The Cry of Cthulhu, a movie based on H.P. Lovecraft’s mythos that, very unfortunately, never got made. The film’s screenplay was uniquely weird and true to the source, unlike every other movie based on Lovecraft’s work up to that point, and a number of future special effects icons were involved in the project. 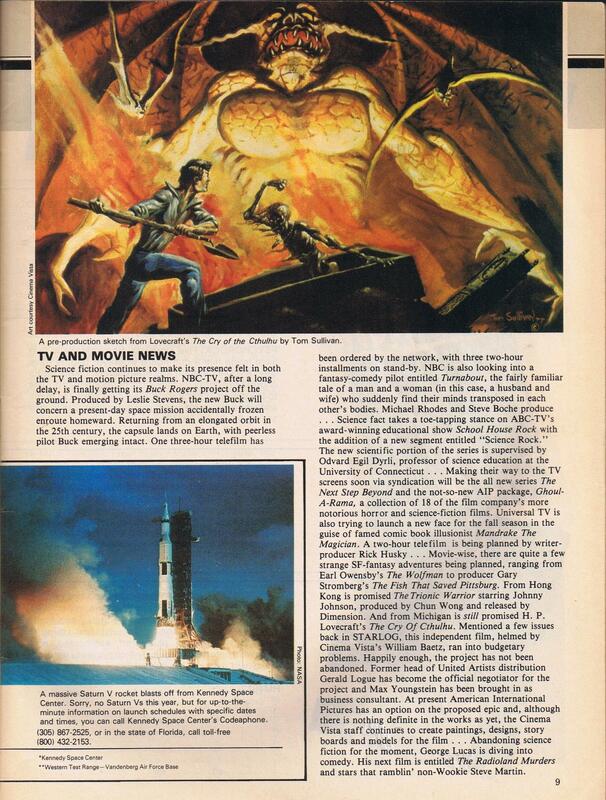 The blurb above is from Starlog #15 (August, 1978) and features concept art by Tom Sullivan, who went on to do ground-breaking special effects for The Evil Dead and The Evil Dead 2, among other notable accomplishments. I’m excited to announce that I had the chance to interview both Byron Craft, who wrote The Cry of Cthulhu screenplay (and its recent novelization, The Alchemist’s Notebook), and Tom Sullivan about the almost famous film and their past and current projects. Byron’s interview will run this Thursday, October 23, and my interview with Tom will run on the following Thursday, October 30. Be there! 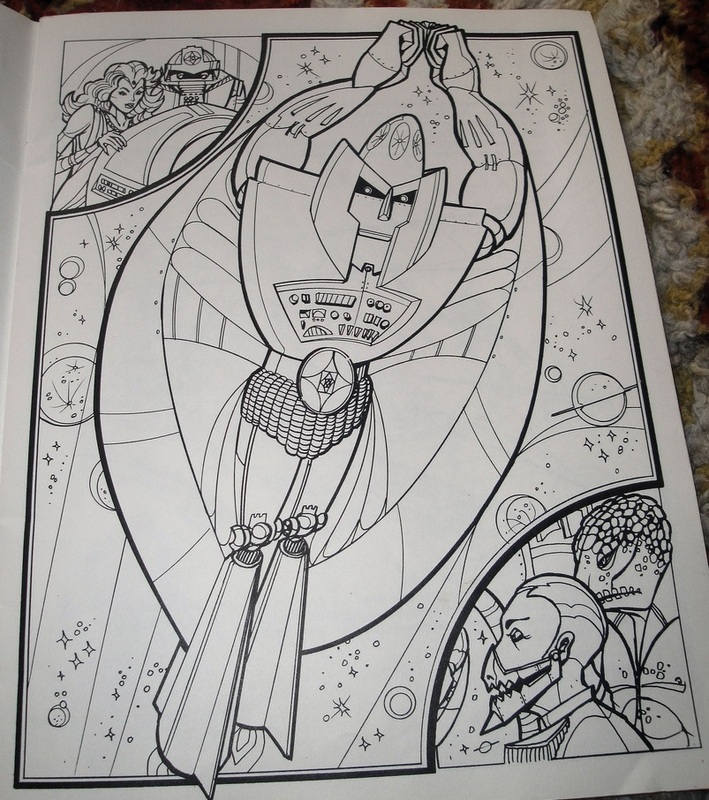 Read the whole issue at the Internet Archive. 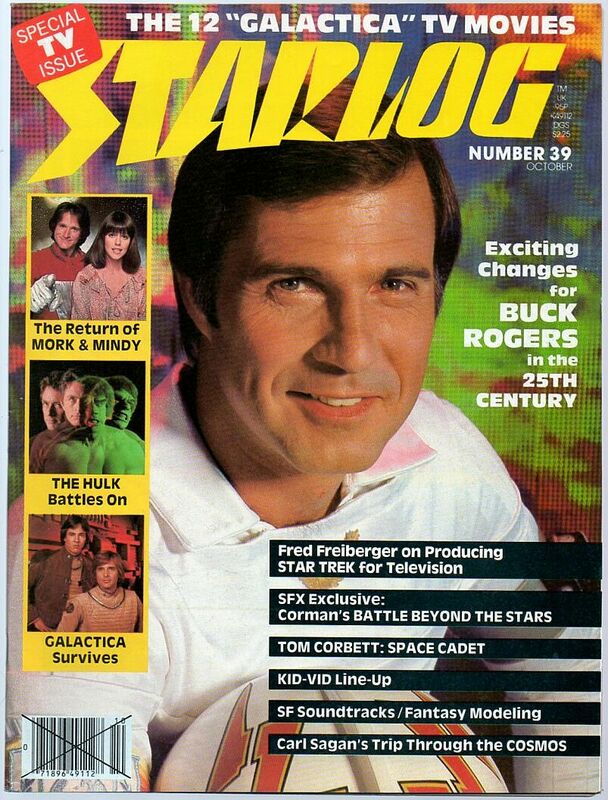 The article is from Starlog #24 (July, 1979). The “lost” Lovecraft movie reportedly secured a $7 million budget, received the blessings of Arkham House (Lovecraft’s longtime publisher and champion), and was slated to “showcase several new techniques applied to stop-motion animation.” What makes it so much more interesting is the special effects talent lined up for the project. Ernie Farino, hired as special effects supervisor and animator, got his start on Galaxy of Terror the following year, where he met James Cameron, who hired him as special effects coordinator on The Terminator. Farino also worked as an animator on Saturday the 14th, The Thing, Spacehunter: Adventures in the Forbidden Zone, and Dreamscape. Lyle Conway, character designer and model builder, went on to do creature design and effects for The Dark Crystal, The Blob (1988), and Deep Rising. Craig Reardon, special make-up effects, worked on The Goonies (he created Sloth! ), Poltergeist, Twilight Zone: The Movie, Dreamscape, and The Gate, to name a few. 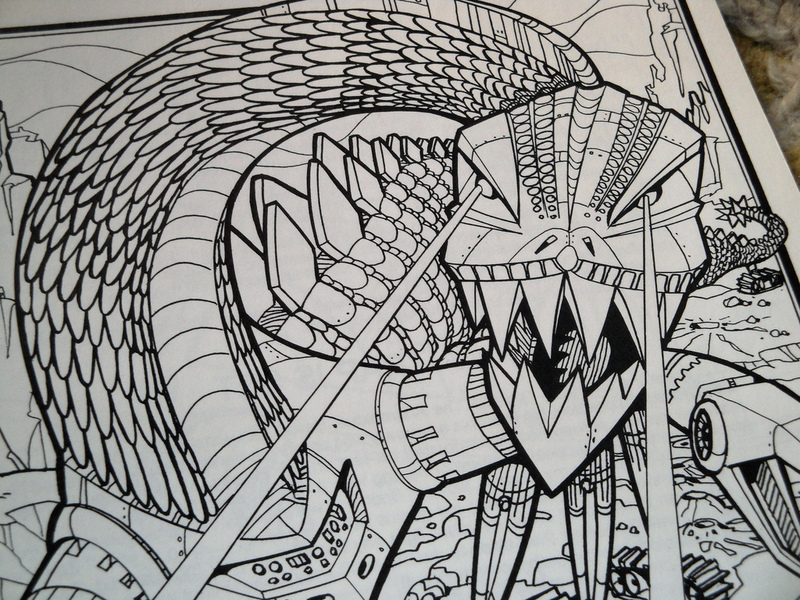 The concept art you see in the Starlog article is by Tom Sullivan, best known for designing and animating The Book of the Dead in The Evil Dead and The Evil Dead II. Sullivan also did many beautiful illustrations for Chaosium’s Call of Cthulhu role-playing game. 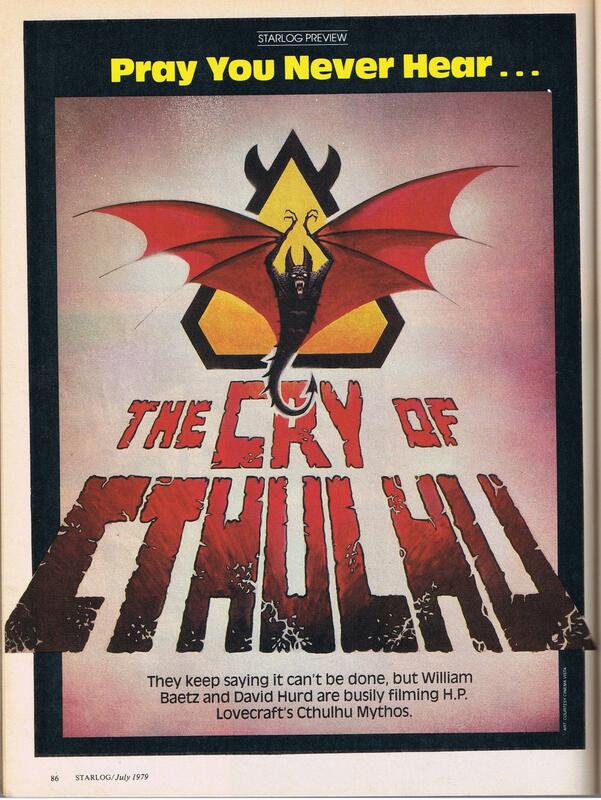 The Cry of Cthulhu was supposed to be something of a sequel to Lovecraft’s The Shadow Out of Time. I don’t know specifically why the project fell apart, but I imagine it was a combination of money and studio cowardice. 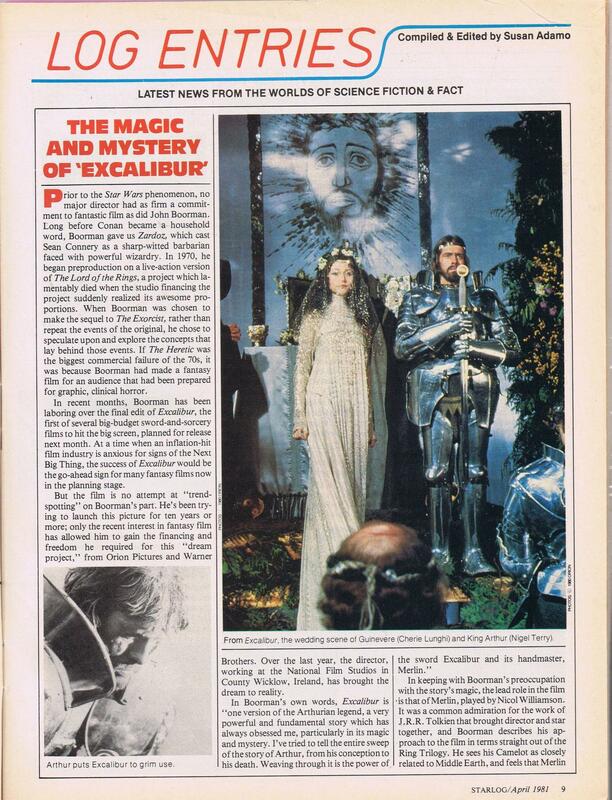 Based on an earlier blurb in Starlog #6 from 1977 (below), the film was initially a low-budget affair to be shot entirely in Michigan. UPDATE (10/24/14): I interviewed Byron Craft (a.k.a. David Hurd), screenwriter and co-producer of The Cry of Cthulhu, here. I also interviewed Tom Sullivan here. 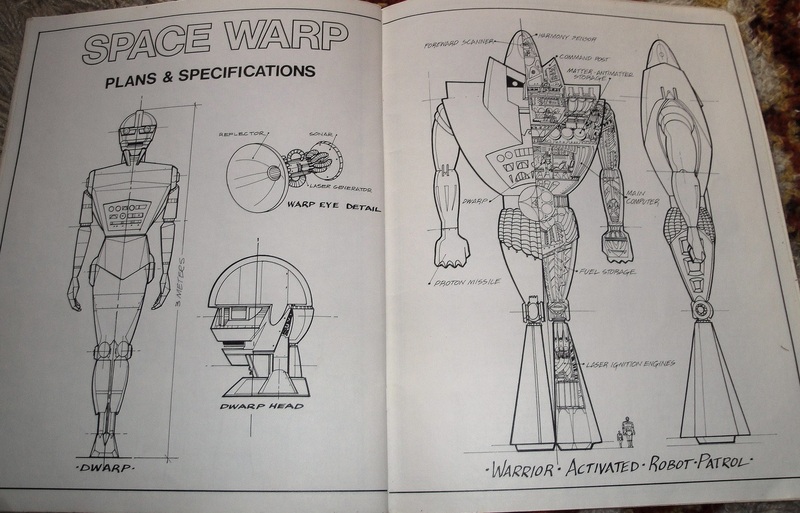 The newest book would be in full view, with back issues tucked behind it. Publication dates ran two to three months in advance, so we’re in October or November of 1980. 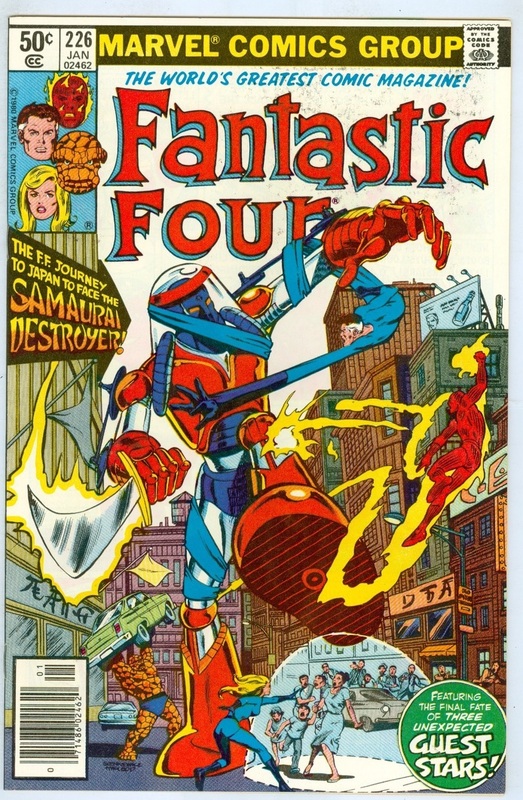 Other than the FF, I spot Defenders #89 (pink cover) and, below it, #91 (yellow cover, same publication date as FF #226). Man, 1980. What a beautiful time to be a kid. I’m not into DC, so I can’t identify any of the comics on the bottom rack in back of the store, but I do see, just to the right of J.R.R. 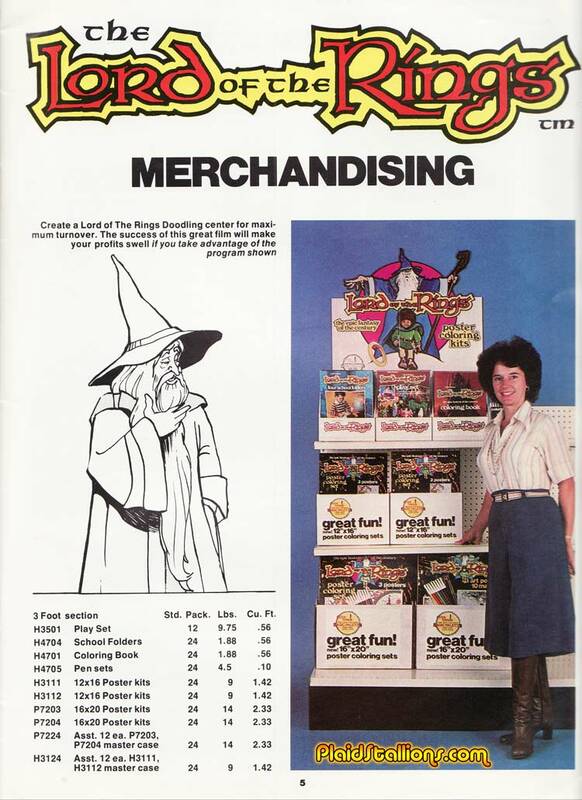 Tolkien’s The Lord of the Rings Coloring Book (more on that in a sec) at the top of the spinner rack, Starlog #39 (October, 1980), with Gil Gerrard on the cover. Now, the spinner rack. 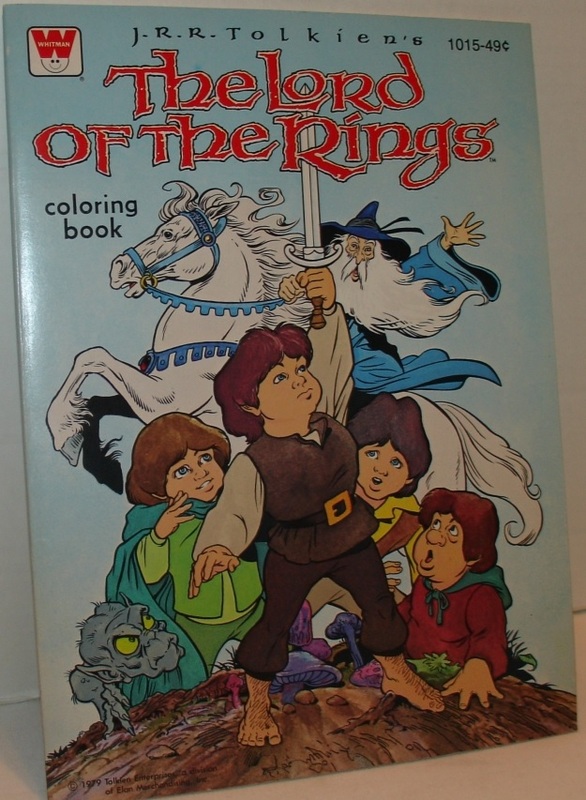 The LoTR coloring book was part of the promotional campaign for Ralph Bakshi’s 1978 LoTR adaptation, as you can see in this sweet catalog at Plaid Stallions. 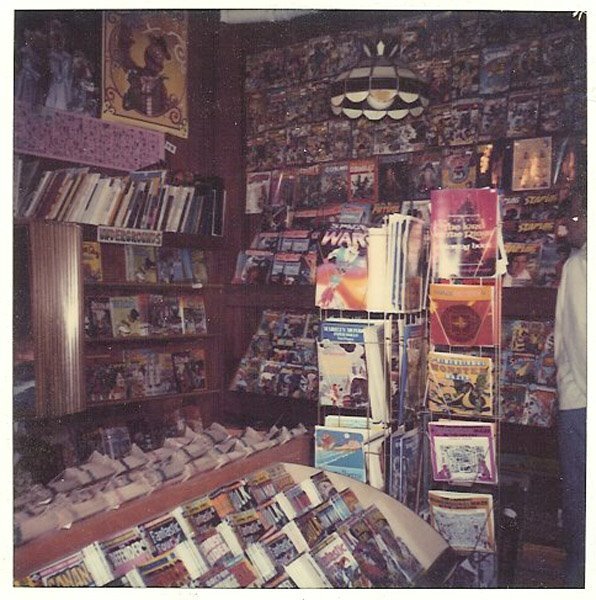 The version seen here (top right, by the weird lady’s head) and in the comic shop was originally published in 1978. An alternate cover version, seen below via eBay, came out in 1979. 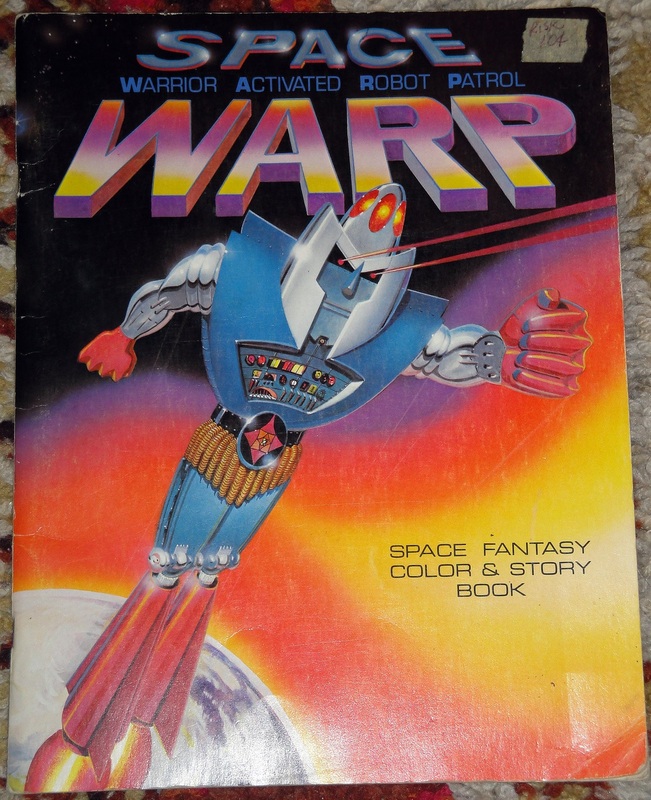 To the left of the LoTR book you’ll see what’s become a cult item in the pop art world: the Space WARP Space Fantasy Color & Story Book (1978), published by Troubador Press. I want it badly. We have Philip Reed and Matt Doughty to thank for the pics. See more at Reed’s Flickr. UPDATE (11/22/13): Malcolm Whyte, who ran Troubador Press for 30 years, spotted more Troubador titles on the rack: Maze Craze 4 is just beneath the LoTR book; Larry Evans’ 3-D Monster Mazes is just beneath that; and two different Evans 3-D Maze Posters volumes (“huge fold-out jobs and complex!” Malcolm notes) are beneath that.